Every year for Thanksgiving, my husband makes two desserts from scratch that he brings to the family Thanksgiving feast. Fortunately, because he has been brought up to speed on the impact of his purchasing Fair Trade products, he didn’t blink at all at my suggestion he swap some of his standard ingredient purchases for Fair Trade food items. One dessert was a White and Dark Chocolate Ice Box Cake (including Green & Black’s Organic White Chocolate and 72% Dark Baking Chocolate). But here, I’d like to share his other creation. STEP ONE: Position a rack in the center of the oven and preheat to 325 degrees F. Spray a 10-inch bundt pan with non-stick cooking spray (notice we used a cake pan with a cathedral design). STEP TWO: Sift the cake flour and confectioners’ sugar together onto a piece of waxed paper three times; set aside. STEP THREE: In the 4 and 1/2 quart bowl of a heavy-duty electric mixer, using the wire whip attachment, beat the egg whites at medium speed until frothy. Add the cream of tartar and beat at high speed, adding the sugar gradually, until the whites are glossy and stiff, but not dry. Add the vanilla and espresso powder and continue mixing until just incorporated. Scrape the mixture into a large bowl. STEP FOUR: In three batches, resift the flour/sugar mixture over the whites and gently fold in with a large rubber spatula until just combined. Gently fold in the grated chocolate until combined. Scrape the batter into the bundt pan and bake for 45 to 50 minutes, until the cake begins to pull away from the side of the pan. Using a knife, loosen the cake form the pan. Let sit on a cake rack for 5 minutes and invert onto another cake rack. Allow the cake to cool completely before glazing. STEP FIVE: To garnish the cake, dip a fork into the melted chocolate and drizzle the glaze over the top and sides of the cake. STEP SIX: Enjoy! Happy Thanksgiving, everyone! 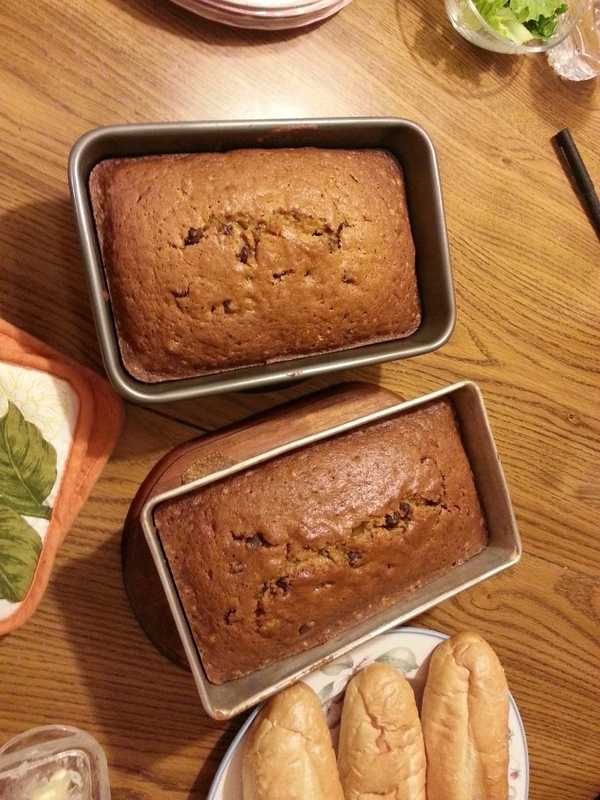 Alright so this Saturday my girlfriend and I decided to bake up some glorious Fair Trade pumpkin bread. Now before we get started, there is no such thing as Fair Trade pumpkins. But a good number of general baking ingredients are made under Fair Trade standards. We found all of our Fair Trade ingredients at the local Whole Foods store. This recipe makes about two large loaves. Pre-heat oven to 350 degrees, and grease two large bread pans. In a large bowl, mix sugar, pumpkin, oil, water, and eggs together. 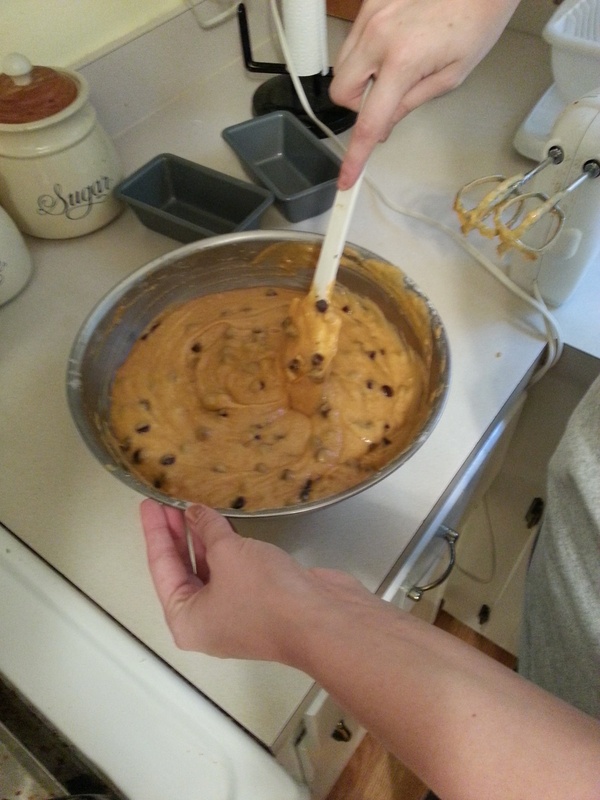 Then add in everything else except the chocolate chips. Beat until smooth. 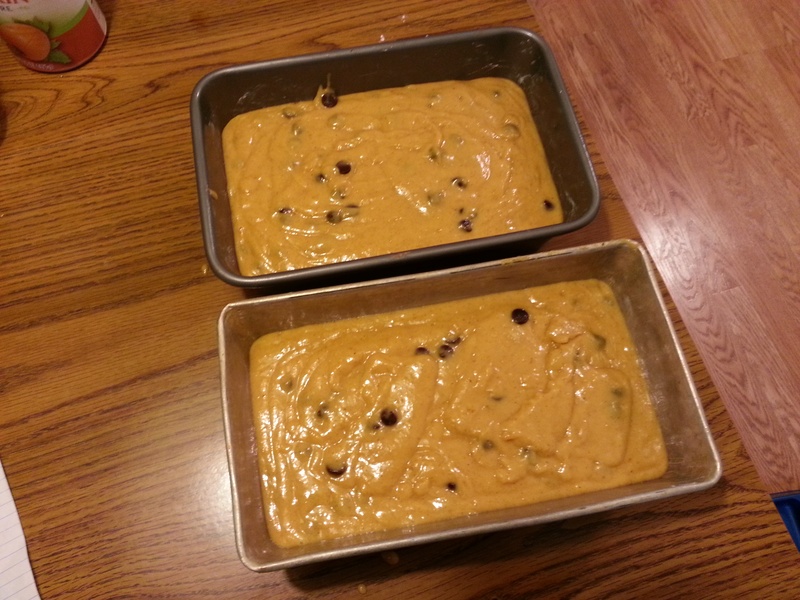 Then fold in chocolate chips. Pour mix evenly into the two greased pans. Put the pans in the oven for 1 hour, and enjoy a few of your favorite pumpkin beers while you wait. Make sure the loaves are cooked all of the way through. If they are not done cooking just put them back in the oven for five or ten minutes. When you know they are done cooking, leave them in the pan to cool for a while before touching them. If you did everything right they should look like this! Hope you enjoy this easy Fair Trade recipe. As promised at the start of summer, we made Fair Trade Ingredient Creme Brulee! For this recipe I made 4 ramekins of creme brulee. 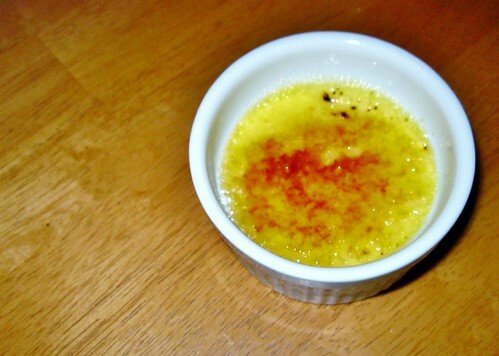 I have used a few creme brulee recipes in the past, and have made up my own way of concocting creme brulee as I work with a temperamental oven. If your oven behaves itself, then check out this recipe for better cooking directions. As the recipe above suggested, I added the yolks and the sugar together. However, I like to do things a little bit differently when adding the vanilla. I put 1/4 of the vanilla in with the egg and sugar mixture, and 1/4 in with the heavy whipping cream while bringing it to a broil. 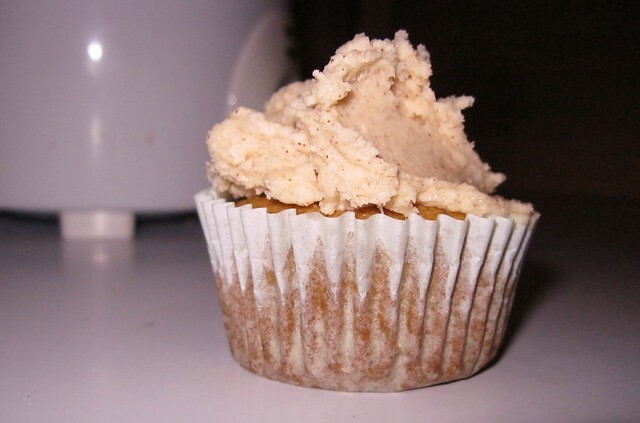 I started doing that for the Vegan Chai Cupcakes to enhance the flavor of the Vanilla Soy Milk I use, and it’s a habit that I’ve held onto, though it is not necessary for the creme brulee recipe. I stirred the sugar, vanilla, and yolks together until it was creamy and appeared a little bit darker in color (a darker orange). After the egg mixture was taken care of, I poured the heavy cream into a small saucepan (though if you are making more creme brulee I would suggest a medium sauce pan) and stirred it continuously for 3-4 minutes. I took the cream off of the stove just before it began to broil. I then poured the cream into the egg mixture a little bit at a time, stirring it together as I did so. I then put the ramekins into a roasting pan and filled the pan with water. The water should go halfway up the sides of the ramekins, and this ensures that the creme cooks evenly. I cooked the creme at about 325 degrees for 45 minutes. 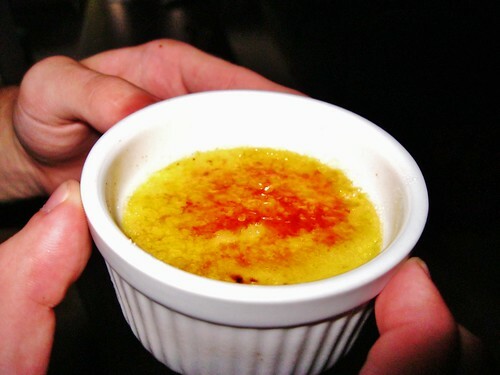 Most recipes I have seen suggest cooking creme brulee anywhere from 250-350 degrees for 25-45 minutes. Depending on your kind of oven. the temperature and time may vary, though I would suggest about 300-325 degrees for 30-40 minutes. The general rule of thumb is to make sure that creme is set and firm. I will usually slide the roasting pan out and gently poke the creme with a spoon to see if it’s ready. A little bit of wiggle in the center of the creme is okay, as the creme will continue to firm up when you put it in the refrigerator, but you don’t want a lot of wiggle. After the creme brulee has finished cooking, take it out of the oven and let it sit in the bath and cool for 30 minutes or so. Once the 30 minutes are up, wrap the ramekins up in cling wrap and put them in the fridge. I like to give the creme four hours or so to finish firming up, though four hours isn’t a requirement. The recipe I listed above says two hours, and that works as well. When you are ready to torch the creme, spread a thin layer of sugar over top of the creme. I use a cooking torch to melt the sugar, and I make sure to keep the flame moving. Don’t let it hover over one area of sugar too long, as it melts and burns quickly. For our Fair Trade Ingredients, I used my favorite Wholesome Sweetener Organic Fair Trade Sugar and Frontier’s Organic Fair Trade Vanilla Extract . Because Wholesome Sweetener’s Organic Fair Trade Sugar is a little bit coarse, I put the 1 1/4 cups into a food blender to make it finer. My brother kindly showing off the creme brulee! A friend of mine made wonderful vegan chai cupcakes for me a few months ago, and I couldn’t get enough of them! So I finally decided to satiate my craving and make my own vegan chai cupcakes, only this time they would have Fair Trade ingredients! The cupcakes almost taste almost like carrot cake, but they have a bit of a spicy kick. These cupcakes do take some time to prepare (an hour and a half or so), but if you have the time, I definitely recommend trying them out! My journey to make the best Fair Trade ingredient cupcakes took me to the Wegmans in Downingtown, Pennsylvania. Most of the Fair Trade items I bought were in the organic and special food aisle. Divine Chocolate, Honest Tea, Wholesome Sweetners, and a handful of other Fair Trade brands can be found in this aisle. Ben and Jerry’s ice cream is with the regular ice creams, however (Cherry Garcia being my forever favorite). Anyway, back to the cupcakes. I substituted in Fair Trade ingredients where I could. 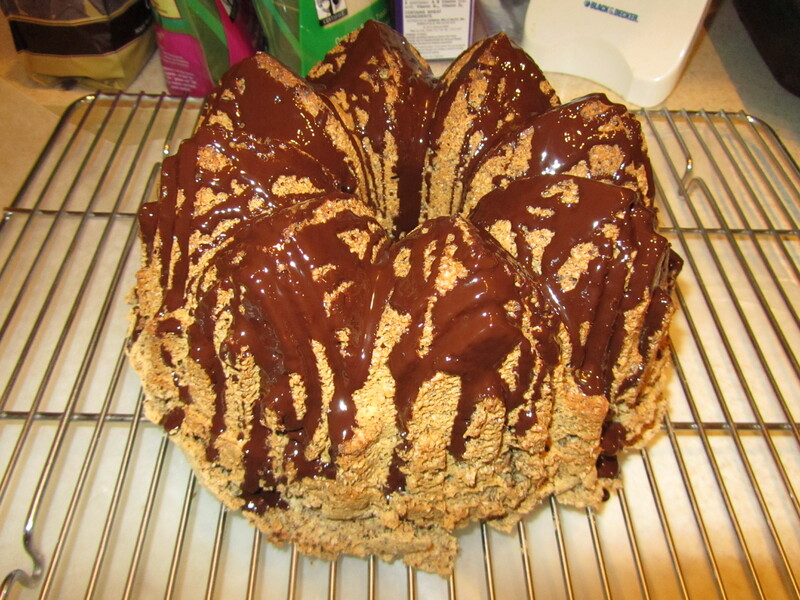 For sugar, I used Wholesome Sweetners Organic sugar (and where the recipe calls for confectioners’ sugar, I put the Wholesome Sweetners sugar through a food grinder to make it finer). I also used Zhena’s Gypsytea Fair Trade Vanilla Chai tea blend for the batter. You don’t have to use the vanilla flavor; they also offer hazelnut and a spicier chai if you so desire. I was unable to find Fair Trade vanilla, however. This doesn’t necessarily mean that Wegmans does not stock Fair Trade vanilla, it just means I couldn’t find it. I used the applesauce instead of eggs, as the recipe suggests for the vegan option, and I couldn’t tell the difference. Applesauce gives the recipe a bit more flavor, in my opinion, as cinnamon and apples go together like a hot day and lemonade. I also used vanilla soy milk (to go with the vanilla chai), and used margarine for the icing instead of butter. For an extra zing, I added a pinch more cinnamon than the recipe suggested. I like my cupcakes with a bit of a kick to them! I highly recommend this recipe! It was not difficult at all to follow and very simple (and I am not the most experienced baker). Next up on my Fair Trade cooking recipe list…Fair Trade ingredient Crème Brulee! Let’s see if I can locate some Fair Trade Vanilla first…Wholefoods anyone? 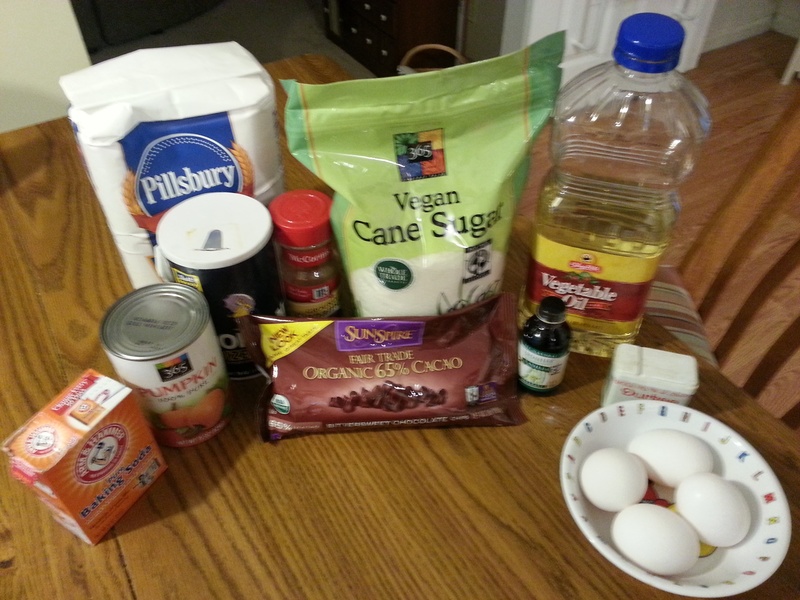 Wondering how to make your own Fair Trade chocolate chip brownies? Of course, we could have the argument that they are not truly Fair Trade brownies, only made with some Fair Trade ingredients… but how about we just celebrate that these ingredients are available not far from the campus! 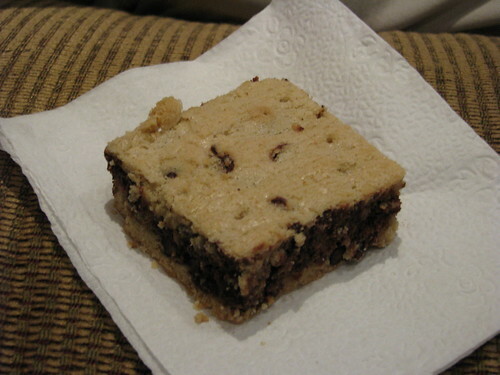 I followed the standard chocolate chip brownie recipe that you would find on the back of the bag of chocolate chips. Some bags only have a cookie recipe, so you can make a thick pan cookie. I spread the dough in a 7×11 glass pan and cut 12 brownies. I was able to visit the ACME in Broomall to get Sunspire Fair Trade/Organic chocolate chips. The Giant on Sproul Road in Springfield yielded the Frontier vanilla and Wholesome Sweeteners sugar and light brown sugar. Yum! Don’t forget that you can visit our map where we continue to add stores that sell Fair Trade food items available within an approximate 60-mile radius of campus.